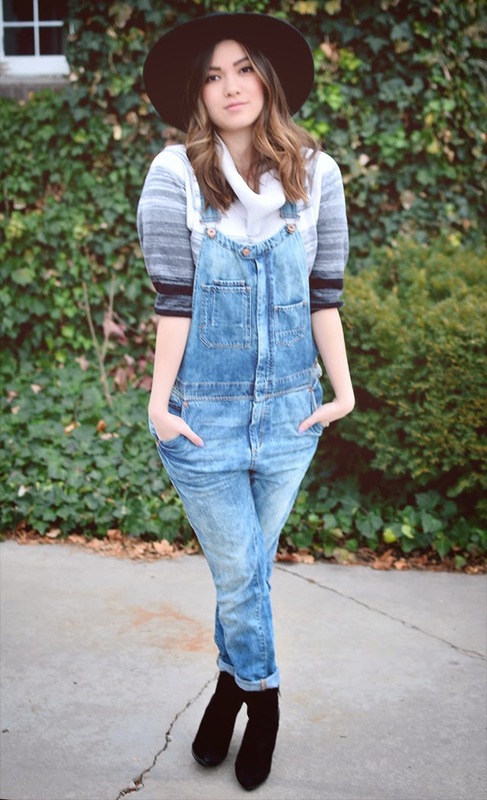 I think most people think that overalls are meant to be worn only in the summer, or never. I get lots of weird stares when wearing these babies but THEY ARE SO DANG COMFORTABLE, I CAN'T STAY AWAY! 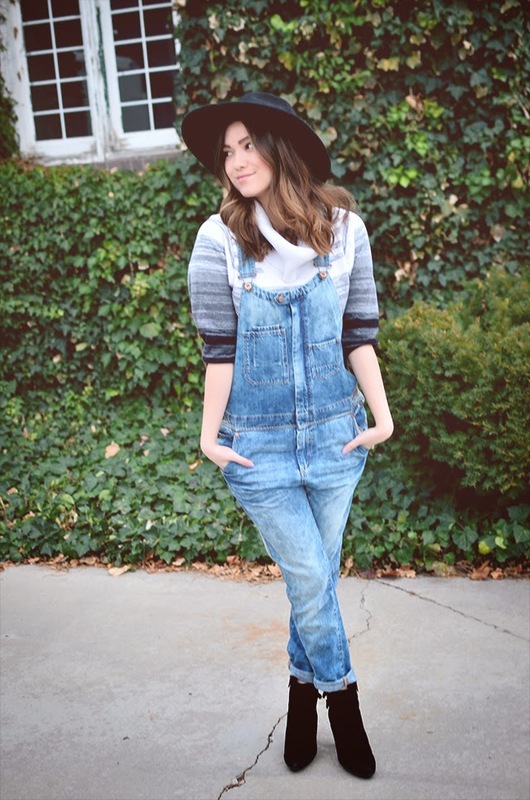 I paired the overalls with a turtleneck sweater, felt fedora, and booties to give it a winter feel. 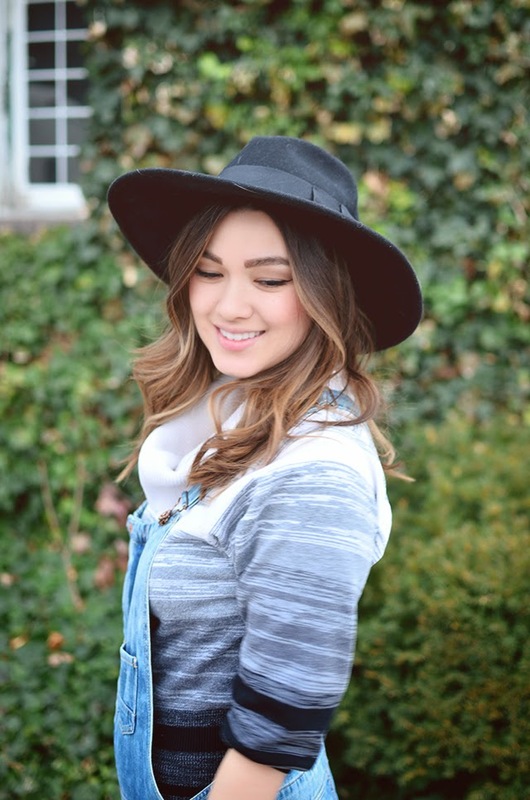 For any of you who have been eyeing this hat that I wear all the time, it's on sale! Ya lucky ducks. I promise you, it's worth every penny. I hate when hats lose their shape and the brim begins to flop. 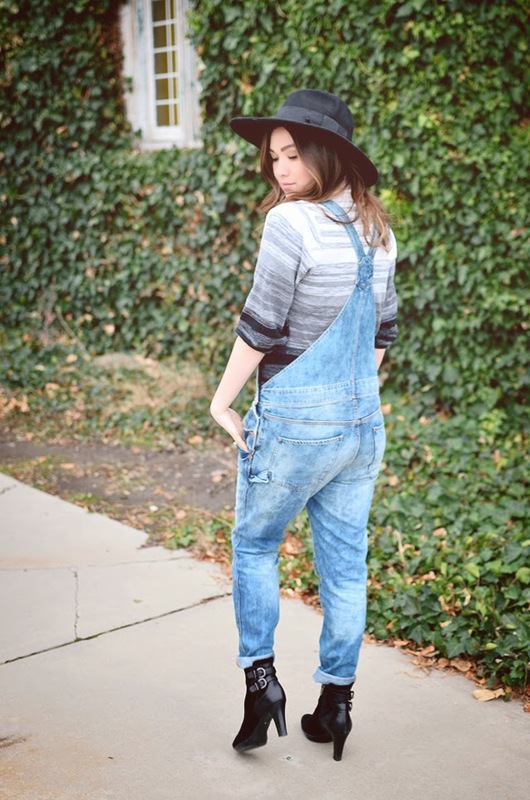 This hat is very sturdy and I kind of want it in more colors now. I have a busy couple weeks ahead of me before my trip so wish me luck that I can get everything done before heading out! Happy Tuesday! !